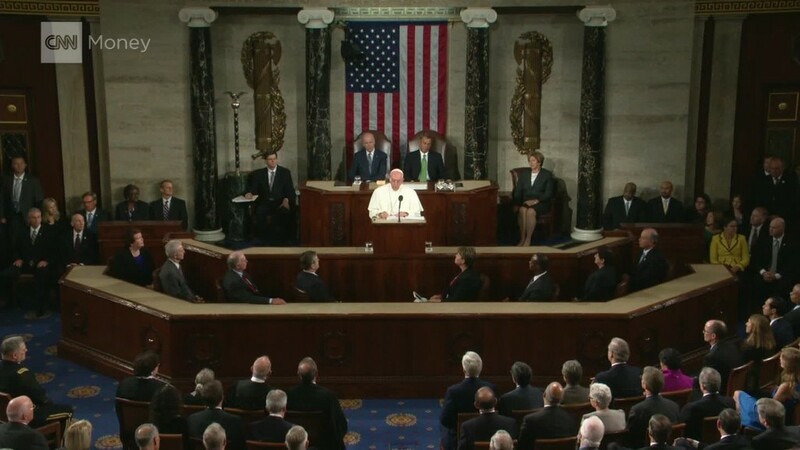 Pope Francis makes his first official visit to the United States this week. There's a lot of angst about what he might say, especially when he addresses Congress Thursday morning. Here's a hint: He'll probably discuss American capitalism's flaws, a theme he has hit on since the 1990s. Pope Francis wrote a book in 1998 with an entire chapter focused on "the limits of capitalism." It's not a bestseller. It's hard to find and only available in Spanish. He wrote the book after then-Pope John Paul II visited Fidel Castro in Cuba. But the contents of the book foreshadow this papal visit to the Americas perfectly. In the chapter on economics, Francis argued that while it can be good for development, capitalism lacks morals and promotes selfish behavior. 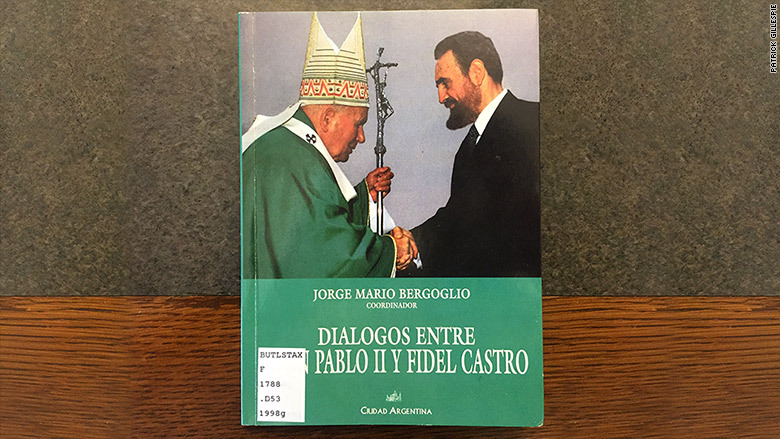 "What the Church criticizes is the spirit that capitalism has encouraged, utilizing capital to subject and oppress the man," Pope Francis wrote in his book, titled "Dialogues between John Paul II and Fidel Castro." CNNMoney obtained a copy of the book in Columbia University's library. He added that capitalism "develops with characteristics of individuality, in a life where men look for their own good and not the common good." The pope has repeated those arguments many times over the years. He has been especially critical of how capitalism has increased inequality and caused the destruction of the environment for "profit at any price." He's tweeted: "inequality is the root of all evil." 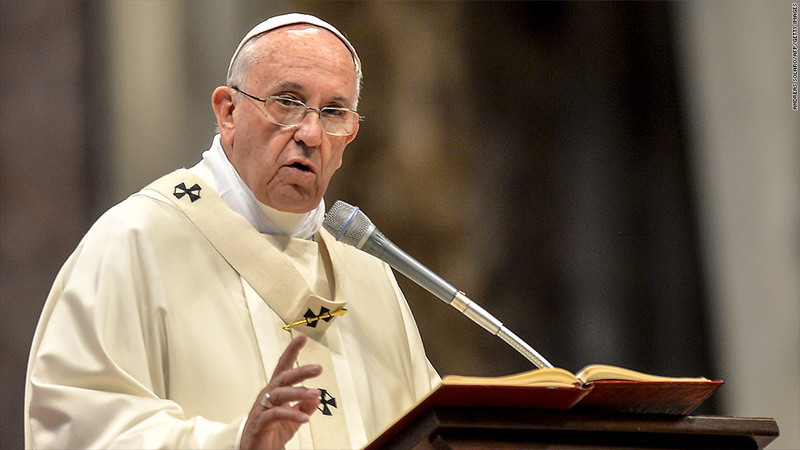 The Pope will fly to the United States from Cuba Tuesday afternoon. Back in 1998, he argued that the U.S. should restart relations with Cuba and end the embargo. He has already played a crucial role in the two countries establishing formal diplomatic ties for the first time since 1961. A longtime advocate for the poor, Pope Francis wrote the book when he was Archbishop in Buenos Aires, Argentina. It's perhaps not surprising that he's a major critic of greed and excessive wealth. Inequality had shot up sharply in Argentina in the 1980s and 2000s, although it has come down a bit in recent years. "Capitalism has been the cause of many sufferings of injustice and fratricidal fights," wrote Pope Francis in the book, quoting an older church text. Fratricidal refers to a deadly conflict between family members. Pope Francis, whose real name is Jorge Mario Bergoglio, also lived through the reign of Juan Peron, a socialist Argentine president who spurred a political ideology known as Peronism. Peron invested heavily in infrastructure and social aid, but the economy also fell into recession under his leadership. The papal focus on finance has led some to refer to it as "Vatican economics," "Franciscanomics" or simply Pope Francis' economic doctrine. After Pope Francis' arrives at John F. Kennedy Airport in New York on Thursday, he will take a helicopter to -- you guessed it -- Wall Street. But don't expect him to pose by the famous bull. "How can it be that it is not a news item when an elderly homeless person dies of exposure, but it is news when the stock market loses two points?" 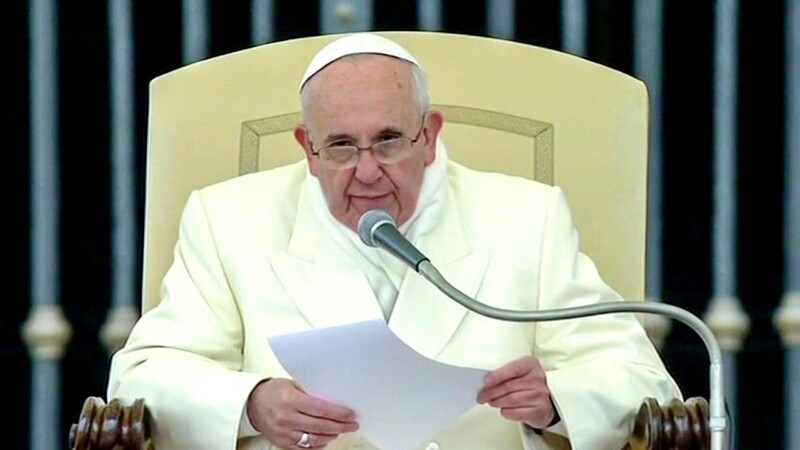 the Pope said in his 2013 Apostolic Exhortation, the year he was named Time Magazine's "person of the year." Bankers need not worry -- he won't spend any time there. Instead, Pope Francis will take a motorcade from there to St. Patrick's Cathedral for evening prayer.